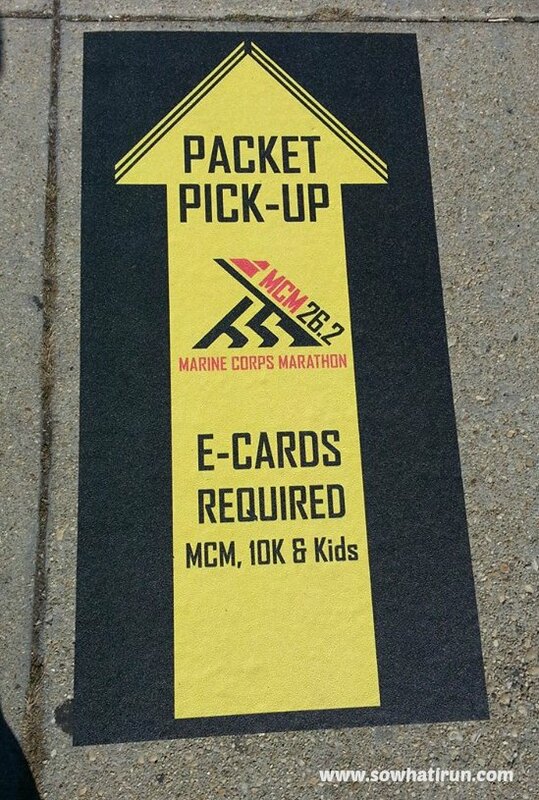 MCM Countdown – Packet Pick-up – (Seinfeld Episode in the Making) | So What? I run. WHERE DO I BEGIN?! There’s so much to tell you, but I’m completely exhausted, so I will just give you the highlights. I am SO glad we decided to head down to DC today for packet pick up instead of waiting until tomorrow. What started out to be about a half day event ended up taking the entire day, hence the late blog. My friend and I decided to take the train from Baltimore, then catch the Metro to the DC Armory instead of driving in the DC traffic. 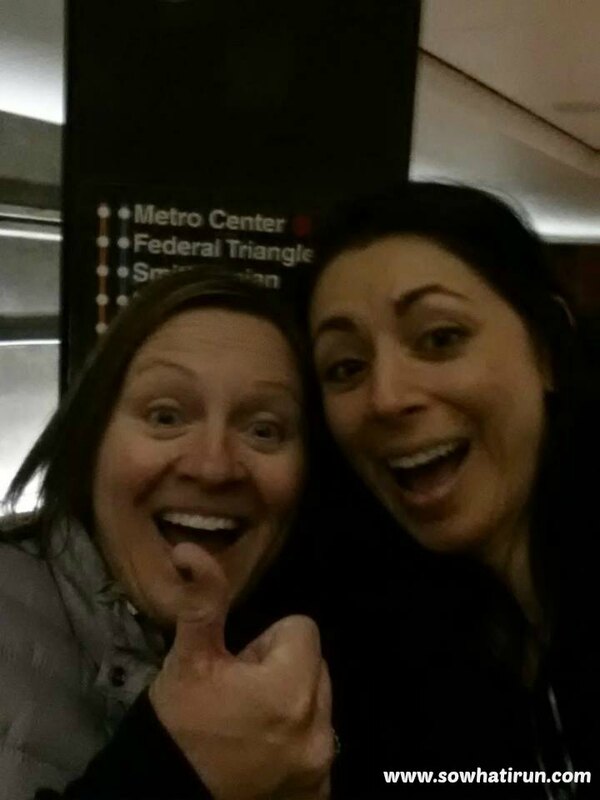 Catching Amtrak was easy enough, but getting on the Metro…well, that’s another story. We meandered our way to the metro train and I got on. The doors closed, I turned around only to see my friend still on the platform looking at me. But, it’s okay! ‘Cause this happened! I was mortified. I yelled No! No! NOOO! As the passengers looked at me. We just stared at each other through the doors of the metro car as the car rode off to the next stop. 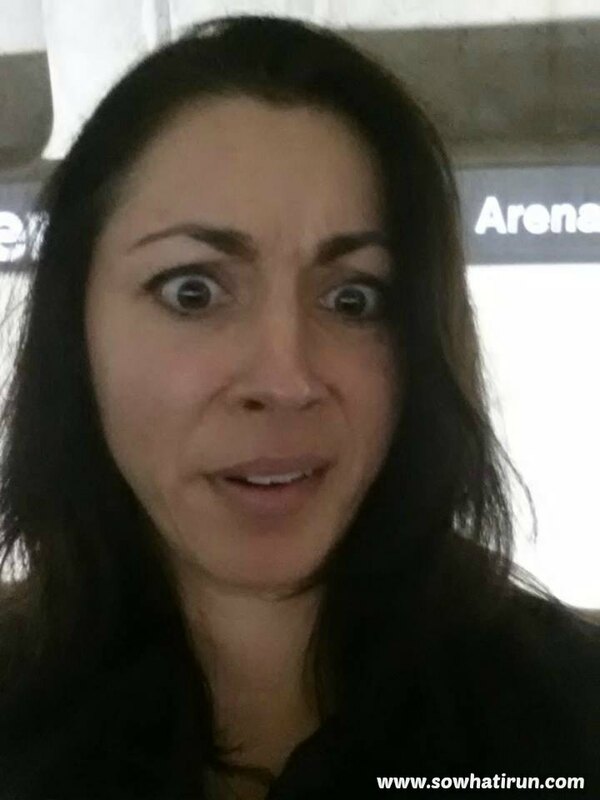 My friend said she felt like a lost toy all by herself as she got on the next car to meet me at the next stop. The whole incident felt like something ripped out of a Seinfeld episode. 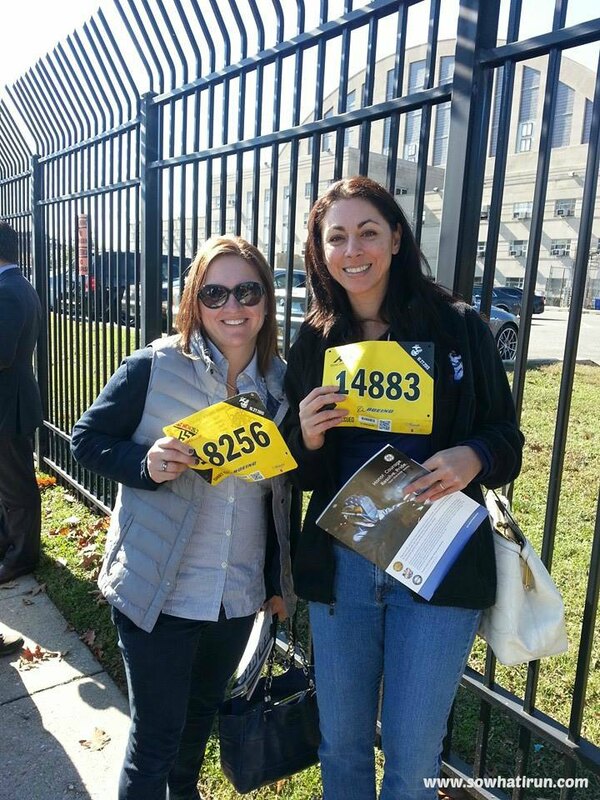 Finally made our way to the DC Armory to pick up our packets. 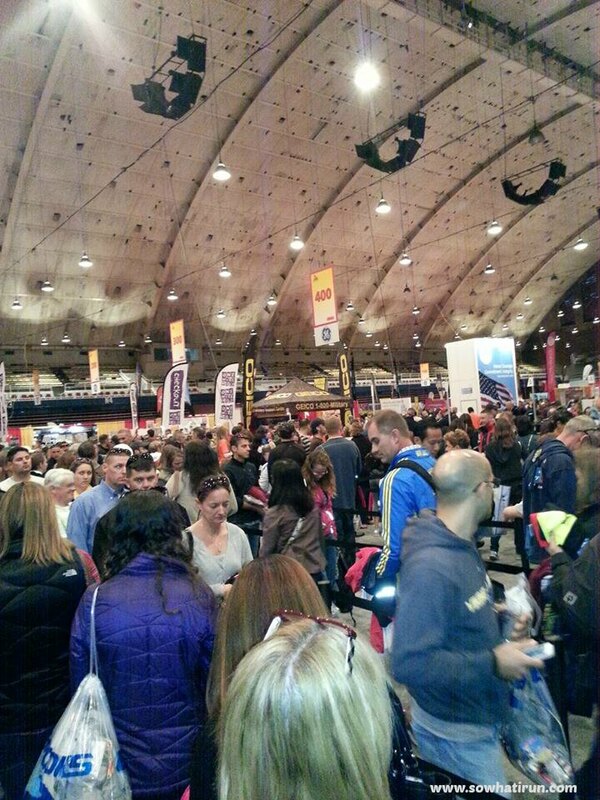 We didn’t know that you had to pick up your bib at one tent, then go inside to pick up your premium at the expo. The line for the bib pick up was about 40 minutes long….and so was the line into the expo…and the line at the Brooks check out if you purchased MCM gear. LINES! LINES! LINES! The military volunteers were absolutely wonderful! Very pleasant and friendly and helpful! I was really impressed with them. Despite all of the lines, I would say everything was well organized. It just so happened we picked the busiest time to go. Lord only knows what’s it’s going to be like tomorrow. 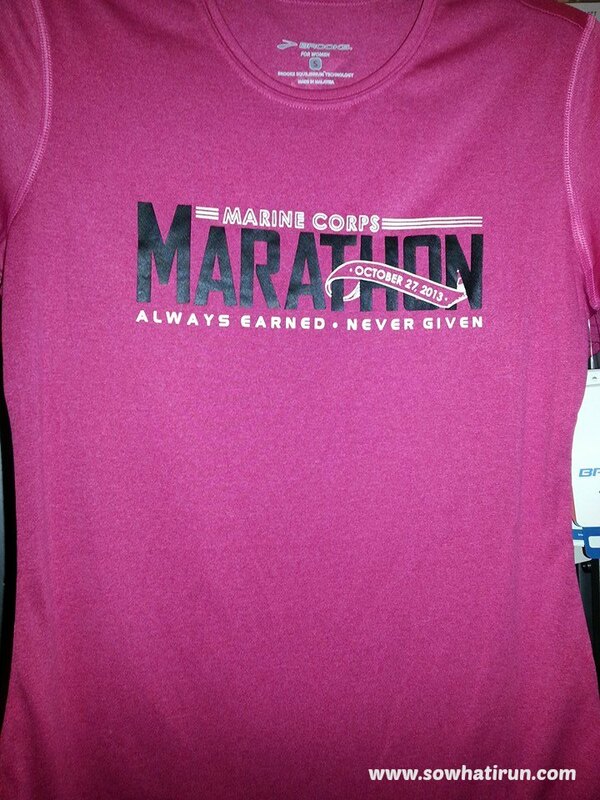 This was taken from the check out line at the expo. Took a picture with the mascot. By the time we finished, it was 1:30. Our train back to Baltimore was scheduled to leave Union station at 2:04pm. Ummm…nope, not going to make it. 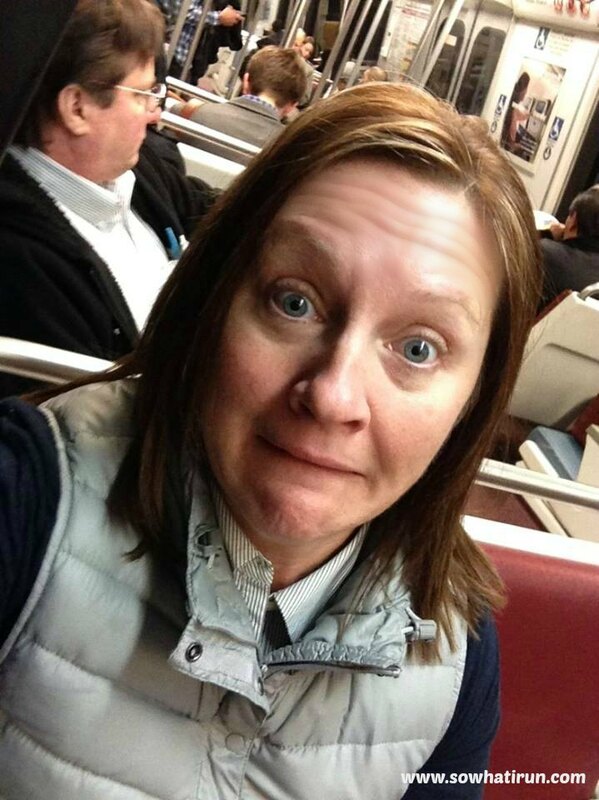 We quickly got on the metro, well not so quickly – our metro passes somehow got demagnetized, and proceeded to go in the WRONG direction, hopped off at the next stop, got on the correct metro back to Union station to catch the 3:30 to Baltimore. The sleeves on the premium run very short. If you have gorilla arms like me, you may want to size up. If you’re riding the metro, consider getting the plastic boarding cards instead of the paper ones. The paper ones don’t seem to hold up well. Prepare to wait in lines and be happy about it. Wear comfortable shoes as you’ll be standing and walking for a long time. Layer up. 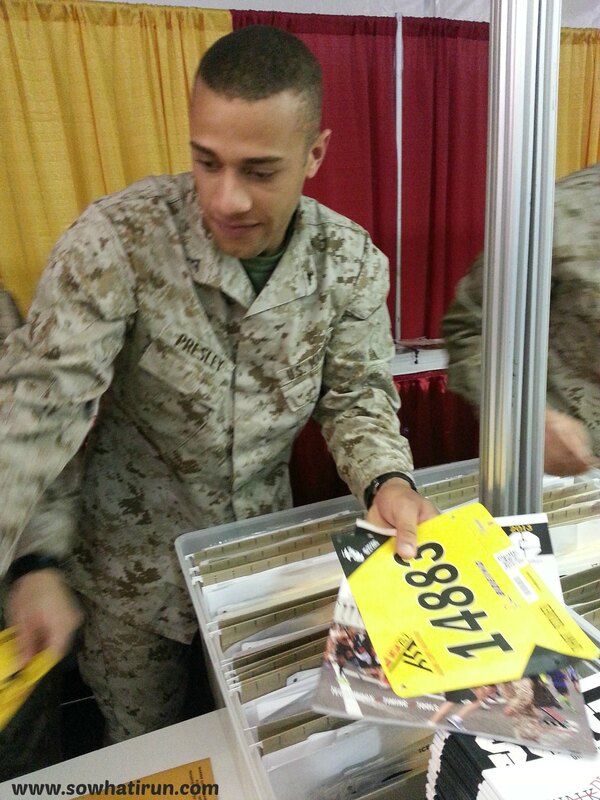 The bib pickup is outside and it’s going to be cold, but it’ll be hot inside the expo. Ladies – if you don’t need your purse, leave it at home or at the hotel! The line for security is very long. You can by pass it if you don’t have a purse. I think that’s it. Good night! 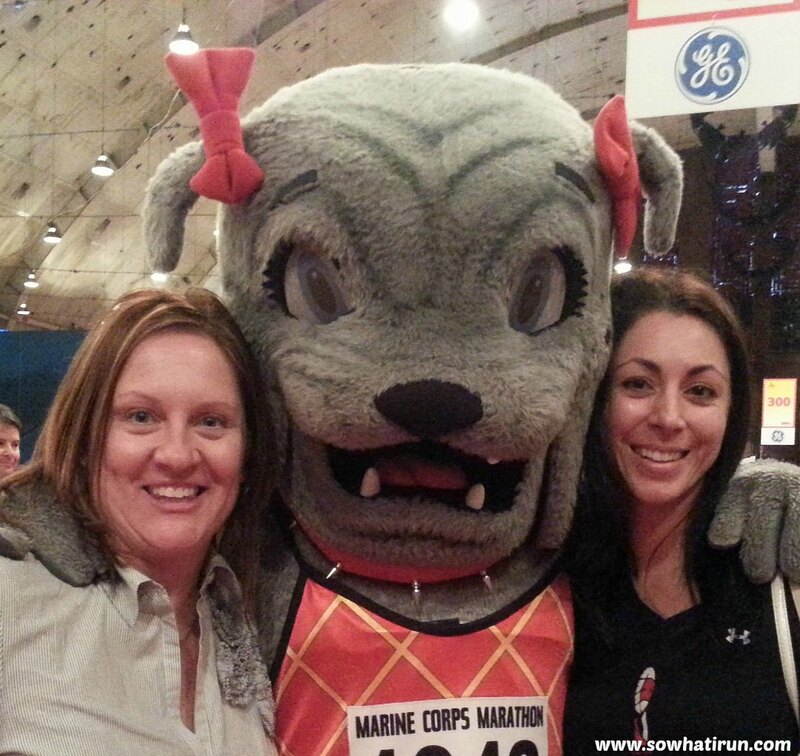 This entry was posted in Marathon Training and tagged Baltimore, DC Armory, marine corps marathon, MCM, Seinfeld by SoWhatIRun. Bookmark the permalink. Good luck with the race. I’m sure it wi be a great experience. Ahh good luck with the race!!! I hear so many great things about MCM!